The Temple of VTEC - Honda and Acura Enthusiasts Online Forums > Type R > > Re: Desmond Regamaster Installed! TOV Forums > Type R > > Re: Desmond Regamaster Installed! Spring is finally here and here are some new shoes for my FK8! The car is lowered slightly on Ground Control Sleeve Coilover Kit. Looking really good, and is it just me that thinks those rims not only suit the R, but seem to shrink it visually? That your NSX Hondarulez, looks fabulous. It does look reminiscent of an EK9, with too many doors. Is that NSX pictured yours as well? 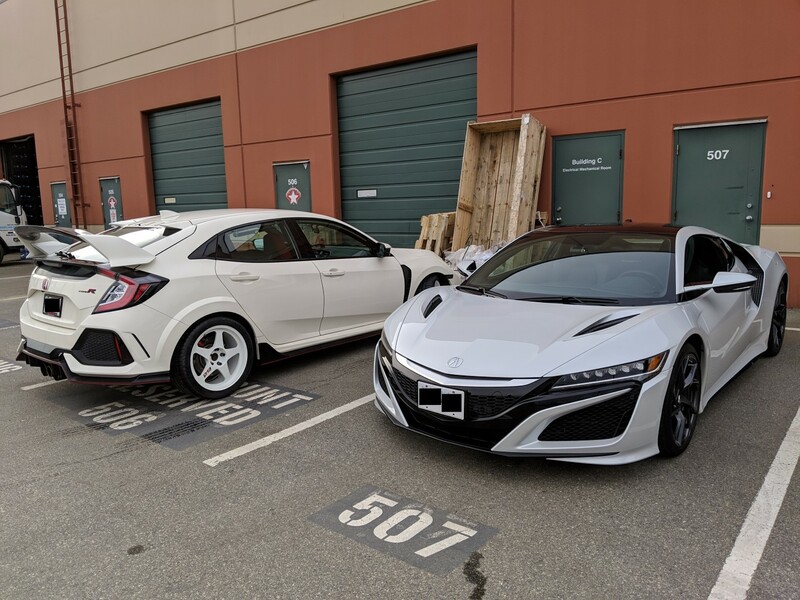 I have a favor to ask as a fellow CTR enthusiast...I'm trying to get a set of 4 NSX front wheels but Honda/Acura has locked down purchases. They now require you to have verification that you own an NSX to purchase them. Yes, that's my NSX. I was also looking to get a set of the NSX rims for the CTR as they are forged in the perfect size of 19x8.5 ET55. However, I wanted to mount wider tires and so 8.5" is too narrow. I'm in Canada though so I wasn't aware of this rule. I still have to register my car with Acura and get the warranty stuff transferred.